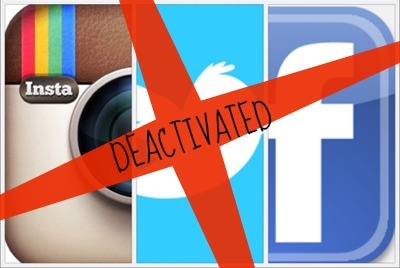 I have taken a bold move yesterday: de-activate my social media accounts. I came to this decision after many serious thoughts about the time I spend it on fb/twitter/instagram, etc. It took me a while to get facebook down because I am an admin of many pages, and I am sure I will lose admin rights to these pages, so I had to designate others to manage them. Twitter gave me 30 days grace period to come back. I reached 2k followers last week. I am dedicating this time to family and my master’s classes. I am reachable by e-mail.